Before that, the biggest increase in revenue came when FreshBooks emailed a million people and mentioned Bidsketch as a new integration for sales proposals. I got so many new sales notifications that day, I thought someone had hacked my server. It was nuts. Last month’s increase in revenue was double that one. Conversions and traffic didn’t increase, though. Nope, the reason I saw this kind of growth was because I redesigned my plans and increased pricing for new signups. It was a long process and took a lot of work but it’s one of the best things I’ve done since launching Bidsketch. It was more effective and profitable than our best marketing wins, like giving away proposal templates or contract templates to attract new leads. Not only was it a profitable move, but I learned how to use surveys, experiments, and usage data, to help me decide how to price my product. Note: To help me out with these changes I read The Strategy and Tactics of Pricing and enlisted the help of Chris Hopf. Most of the best things mentioned here I learned from Chris. He’s a huge reason why things turned out so well. Thanks Chris! When I first launched Bidsketch I experimented by raising my prices for new signups until I found the most profitable price point. Unfortunately, those pricing experiments took place with weak messaging and badly designed plans. So what I really found, was the highest price points my crappy marketing site was capable of. There are several problems with the way these plans are structured. Problem #1: Plan names. Premium and Basic doesn’t mean anything to a potential customer, other than saying that one plan is cheap and the other expensive. Actually, looking at both price points, it’s more like cheap and cheap. Problem #2: Both plans include every feature. Problem #3: Plan limits. 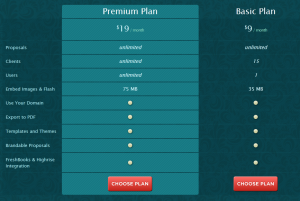 The Premium plan had unlimited proposals, clients, and users. Most everything is unlimited and the few limits placed on the Basic plan don’t incentivize upgrades (except for the user limit). Problem #4: Complete lack of customer segmentation. Basically, these plans weren’t designed to ensure customers that received more value from using proposal software were appropriately charged. So before thinking about price, I had to restructure my plans to eliminate these problems. This meant that I first needed to identify my customer segments properly. To segment customers, I needed to understand exactly which people were getting value out of Bidsketch, put them into related groups, and find out the differences between each of those groups. I started off by sending several surveys and having conversations with customers. How would you feel if you could no longer use Bidsketch? It’s a multiple choice question with five options and it helps you identify exactly who considers your product a “must have” product. Once I had a couple hundred responses I created a targeted list of everyone that considered Bidsketch a “must have” product. I researched every one of these companies by looking up their usage data (to cross-reference with survey results), and checking them out online. What industry do they belong to? How many users do they have? How often do they use Bidsketch? What features do they use the most? The next step was to have phone calls with most of the founders/CEOs on the list. How many employees do you have and how many people use Bidsketch? How much time does Bidsketch save you on each proposal? How important is feature X to you/your team? Describe your typical/ideal proposal workflow. The point of all of this research was to discover specific attributes that would better help me segment customers. I was also attempting to find out which key features were most important to each of these segments. 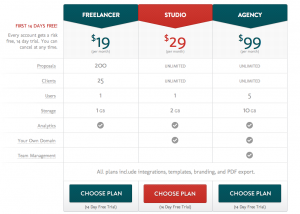 Freelancers — A one-person business that creates one to two proposals a month. Studio — Small business with multiple employees but only one person creates proposals. Agency — Small business with multiple employees and multiple people create proposals. After all of that research, it became clear which specific features each of these segments valued most and which metrics I should target. For example, looking at usage data and feedback from phone calls I saw that freelancers didn’t care about being able to use their own domain as much as a studio. This meant that I could potentially hold back that feature on the low-end plan. To help me figure out which features to use, I created a list of the top features and ordered them by importance. Then, I removed core features or the ones that every segment would expect a product like mine to have. Out of this list came the features that I could experiment with when designing my new plans. I briefly considered charging per user to focus on one key metric. But looking at the data I saw that there were only two major breaks and it had nothing to do with my main segments. So I decided against pursuing that strategy. By this point, I had enough information that pricing became much easier. Pricing is always hard. But knowing which segments you’re pricing a product for, and how much value they get out of your product, gives you a great starting point. My experiments were very easy. All I did was change pricing for new customers in the backend and updated the marketing site to reflect the new pricing tiers. 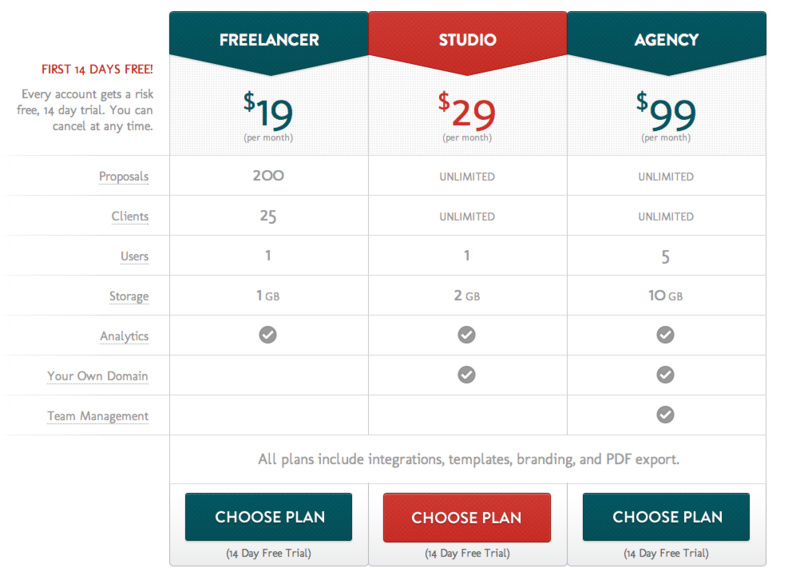 Removing features consisted of removing the features within the pricing grid on the marketing site. In reality, every plan still received every feature but they didn’t know it until after they signed up and started using the product. I’m sure I can further refine and simplify my pricing but it’s a decent start considering what I had when I started. While the increase in revenue has been great, the more valuable part of this exercise has been that I’ve gained a deeper understanding of my customer segments, which key things those segments value, and how to price according to perceived value. Most importantly, by focusing on my customers, I’ve learned how not to let my own perceptions get in the way of charging enough money. Enough money for what? Enough money to deliver an even better product to my customers. Previous Post How’d I Grow Revenue 3x in 2011? Ruben – thanks for sharing this. My biggest takeaway was the names of your plans. Freelander, Studio, Agency do a much better job of helping the prospect decide why it is they should be using BidSketch. We need to do the same for DigMyData. Right now our two plans are: Business and Industrial. I like the sound of “industrial” but no one knows what that means (I certainly don’t). Second best was limiting the features. You were wise to not just arbitrarily draw a line in the sand, but base it off of feedback – what do some people need and what do others not care much about. Yeah, the limiting of features was a combination of feedback and actually taking a look at the usage data in my db. Based on the data there were several potential features; the feedback helped me narrow down that list. Great post. I just got the email from KissMetrics with the link to your site. Also saw you interviewed on Mixergy a while ago. Pricing is something we have been wanting to experiment with our app. It’s amazing how easy it is to neglect something so important. You have some really helpful tips here. Also like your previous post about your marketing efforts in 2011. Great work man! So useful to see such a detailed break down of your methodology and process- and brilliant to see such dedicated pragmatic market research paying off in the end. Thanks for sharing your success Ruben, have shared on our twitter channel! Ruben… congrats on the success! This is so awesome of you to share such detailed info. It is great to see what works and – more importantly – the methodology for getting to that point. Also, I have to say that it is very cool to see someone give Chris Hopf – a pricing consultant – public props for the awesome work he does with companies like Bidsketch. @Lincoln – Thanks! Chris is awesome and I’ve learned a lot from him. BTW, have some trial stuff on my dev’s list that I’m looking forward to trying out. Ill let you know how it goes once we finally implement (after two integrations we have in progress). Helpful as we are establishing our initial pricing for mediaspot.me. We have limited customer usage but we have created the service to deal with our own pain point. I want to reiterate the first comment (by Adam), the names of the plans are smart and appropriate. Top easy to go with Pro… and too easy to undercharge out of fear of getting it wrong. Ruben, great post! I’m working on a startup and researching pricing points myself. So it was really good timing on the post. It’s hard to come up with a good pricing structure for a startup in a new niche. 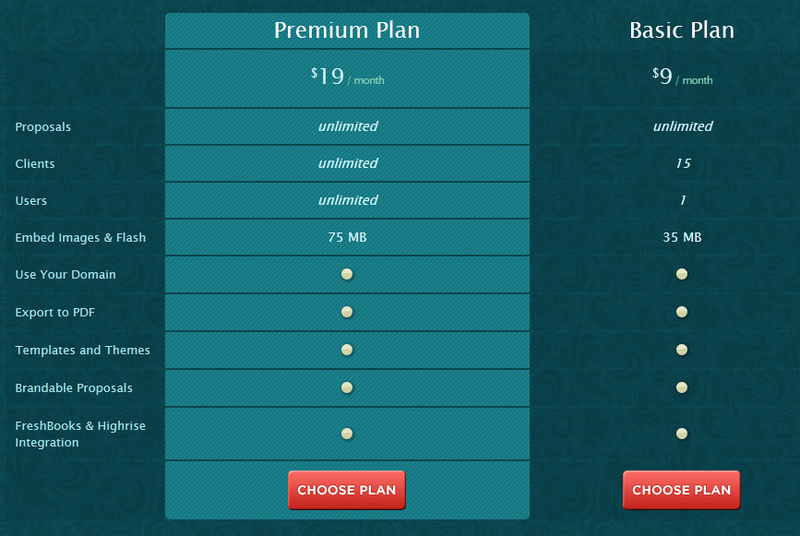 With few competitors and limited customer feedback, I’m working hard to come up with a fair pricing plan. Since my customers will need traffic in order to make my service useful (My business is a twist on job boards), do you think I should start with a lower pricing tier that correlates to my traffic numbers? @Paul – Tough to say without knowing a bunch of the specifics but I would focus on what customers value. I wouldn’t look at your traffic numbers when trying to come up with an initial price because it’s an internal metric. It looks like you’re doing location based job searches? Admittedly, I don’t understand how it’s different than using zip code in monster/dice/etc. but, who would be paying? People searching for jobs, recruiters, or businesses? I try to start with the customer first and take into consideration what their alternatives are when figuring out how much value they’ll get out of your service. Hey, great post. Something that we are also struggling with. One question, didn’t you get any negative feedback from users for changing the pricing this frequently while you were experimenting. I can imagine a scenario where a user would visit your website 2-3 times in a week during his decision process. If he sees different pricing on these visits, he’d be circumspect. Any observations on this? Well, I had a few thousand visits per test so I’d guess that most people didn’t see prices change. That said, I’m sure there were some that did but I never received a single complaint about it and no one ever mentioned it. Not a single issue or complaint? From a technical perspective I think it’s relatively easy, but from a messaging & consistency standpoint I have a lot of hesitations and would love to hear you expand on that. So no issues with users paying one price but seeing another posted on the marketing side of the app? Or the other way around…users seeing one price during their trial and then seeing the price change by the time they came to purchase? Did you proactively communicate price changes to your users? Did you typically start high & lower prices, or vice versa? Yep, not a single issue or complaint. For the most part I start low and keep going up when doing price testing. This way there’s really nothing to communicate as paying customers are getting a lower price. If they do notice the price difference after they sign up, they’re likely to feel like they got a good deal. That said, I’m sure not many people noticed. We tend to be very sensitive to this sort of thing because it’s our product but people are busy and often aren’t going to notice. All this to say that there was no need to communicate anything as long as it was the new customers who were paying more. I did send out one email to several customers when I lowered pricing once, but it was very straight forward since it’s great news when someone finds out that the price is going down for them. “People are busy” – I probably underestimate the importance of that statement. That and reiterating that the changes you’re making only affect new customers. Thanks for an awesome explanation of your process. Can you elaborate on how you ran the pricing experiments? Did you do use any A/B tools or did you just ratchet the price every ‘x’ new customers? For a/b testing I typically use either Optimizely or KISSmetrics. When it comes to pricing experiments I’d rather use KISSmetrics because I get to see the impact of changes throughout the entire lifetime of the customer. Thanks so much for sharing your own research Ruben – I’m also trying to make the jump from a free beta service to a paid service. I had similar thought about doing the most economic plan around that $10 mark and then moving up to $20 and then the big kahuna at $50 and you’ve affirmed this for us. Two thumbs up! One question, would you mind sharing the % breakdown of your customers on the various plans and how much do you see customers moving between plans? I’m interested to find out because I want to see if average revenue per customer to be asymptotically approaching the cheapest plan as we grow. I don’t typically look at customer count as much as revenue distribution. Last time I checked it was pretty even amongst the three plans. Great post, way to walk the walk about the scary thing called making money with your startup. An aside, posts like this make me wish hn had a separate section/tag simply called ‘results’, separate from opinions. I enjoy the variety of geek-interested content here, but this kind of a post for me is real signal. Great post Ruben! We also use Basic/Premium and i kept wondering for some time if the names of the plans can be improved. Will try some new stuff soon.. thanks again for the post. Congrats Ruben! That’s a lot of valuable information. This post reminded me how important it is to look from the user’s perspective and not make any assumptions without data. I don’t know about others, but as a programmer, I tend to think that “premium” features are those that took me the maximum time to implement. Sometimes, it’s easy to overlook what the customer actually wants. As Adam said, the plan names were the greatest takeaway! So many times we forget to use the terminology that is already familiar to our target customers. Another myth that you bust is that of pricing. It’s normally not a problem with small to medium sized businesses, but freelancers or small developers usually think that lower price is better. But you’ve drawn a neat line between something being cheap, and something being affordable. It’s very important to know your target customers to decide a price point. In short, you’ve taken a scientific approach, and not just a statistical approach to testing. Really loved the post. It’s interesting how simple changes can have such a dramatic effect. A quick question, if you don’t mind. On your sign-up form you require users to provide credit card information. Do you find this effects your conversion rates at all? My start-up is preparing to launch commercially in September and I’m wondering if its worth while asking for a CC up-front. Yep, I’ve found that asking for cc info upfront decreased the visitor to trial conversion rate, but increased the trial to paid conversion rate since the people signing up are more qualified. Also, it seems as though since they went to through trouble of entering their cc info, they’re more likely to try it out which results in more paying customers. This was exactly what I was looking for. Thank you for being so open and detailed about the steps you went through. We have been struggling with pricing for sometime, and you have nailed the pain-points and methodology nicely. Excited to get started on this ASAP. Cheers. I am building a marketing site for my upcoming product and i think your ideas will help a lot designing my subscription plans. Its good to know what customers want then we assuming, what they want. They way you researched, makes much more sense then rolling out assumptions. Great read, really enjoyed learning your process. You need a tweet button on this article! Nicely done. I also read your other post about the free plan. That is good info. I read another related blog post by mailchimp a while back in which they had great results from their free plan and vowed never to lose it. I haven’t visited recently to see if they are still as excited about that free plan. Regarding pricing – people want to make a decision, typically quickly, and they want to feel like the made the right decision. If you give them the tools the will usually make a decision, quickly. Make it difficult for them for them (too many options) and often they will just not make a decision at all. What I see from your experiment is that your visitors can now make an informed decision quickly and it makes them comfortable moving forward with a paid plan. Regarding your Brand. If I signed up for the Agency plan and later found out that all the plans had the features – you would lose my trust. Especially if a feature I thought I needed, and based a buying decision on, was only marketing fluff. I doubt agencies will have a problem spending the $99 a month, but they will certainly look at alternatives if they feel they were being misled. For example I may really want to use my own domain, but in reality I don’t write that many bids and only one person in my office manages it. Finding out that all the plans offered that would make me feel like my decision (that was so easy) was completely based on misleading facts. Food for thought. Trust is an important part of brands. Frankly, the risk involved in testing pricing in this way is extremely small and it’s really the best way to get data about real behavior. I totally agree that trust is important and so is ensuring that you’re delivering the right type of value to people, so we’re doing our customers a disservice when we don’t test these types of things. Hope to see at the BOS conference in October, u coming? Thanks! Yep, I should be going to BoS this October; see you there! thank you so much for providing such a detailed account of your research. Deciding to change pricing is a really scary thought. However reading this article builds confidence about how you systematically mine data from your client base and make decisions based on actual feedback. Thanks for sharing your insights, conversion optimization is always interesting. That was fascinating and helpful but didn’t you just let the cat out of the bag that anyone could sign up for the lowest price point and recieve the same services as the more expensive options? Do you think customers would mind? did I misunderstand something? Thanks, Michael. That plan features being different than what was only temporary (during the testing period only). So it hasn’t been that way for several months now. At W3CLove we also have plans with names that users can feel identified with, like Freelancer, Studio or Enterprise. This is working fine. Also, I agree with limiting the features, to provide extra value to the higher plans. In our case, we’ve launched with few features, but the ones we add from now on will only be available on the higher plans. Our startup is going through this painful realization and this post has been immensely helpful for our new plan pricing strategy. Great article! I’ve been reading a lot about raising prices and I think this is the only way to grow. When you have a great service, the price doesn’t matter to client. I have tested it in my company and it works perfectly! How much value did you get from The Strategy and Tactics of Pricing ? I learned a lot from it, though there are big parts that aren’t very relevant to what I’m doing (and it’s a pretty dry read).